As the major record label system continues to evolve, different sounds and different artists have become more marginalized than ever before, thanks to the never ending search for the quickest, easiest hit record possible. Songs get more and more formulaic and homogeneous sounding and artists are cast aside quickly, easily disposable in a world where making a buck is the primary motivating factor in a system that’s been in flux for nearly twenty years. Few of the dollars being generated by that system actually trickle down to the artist, a problem that has plagued the record industry for most of its existence. Bad contracts and new 360 deals only complicate things. But as the internet begins to diminish the hold over marketing and distribution that record labels once had, a lane has opened for music fans seeking diverse talent and high quality and artists prioritizing a living over stardom. 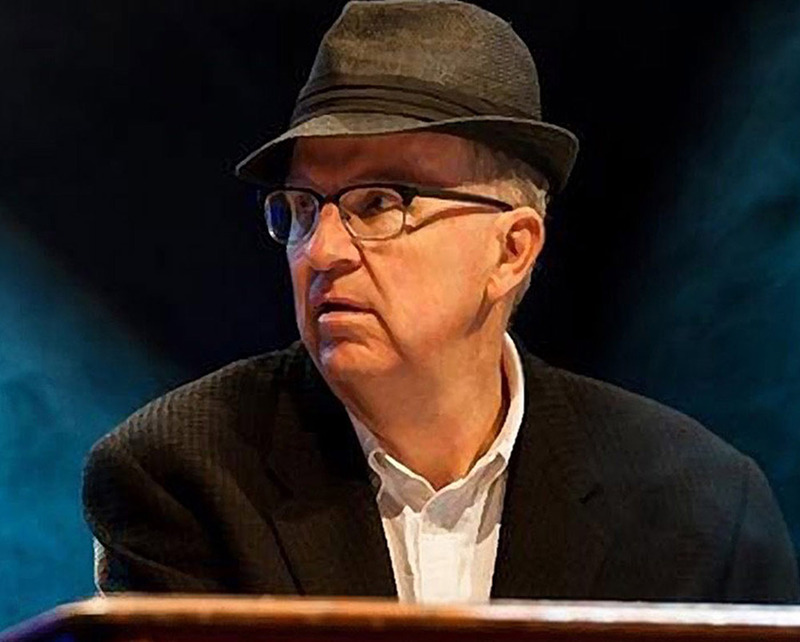 In 2015, musician Jim Pugh released his first batch of four recordings as founder of the Little Village Foundation, a 501(c)(3) organization which specializes in presenting different sounds and stories by often overlooked artists operating outside the mainstream. Little Village Foundation is donor driven, financing the recording of the music and an initial run of one thousand CDs for each artist they work with. The artists sell the albums themselves, keeping the profits, and can roll those profits into subsequent album pressings. Most importantly though, Little Village artists maintain the copyrights to all of their recordings. “It was a wild guess, that this kind of concept would strike a chord with people. But it really has,” said Pugh of the reaction to Little Village Foundation’s efforts. “In terms of music, there is a lot that flies under the radar, that, for one reason or another, is marginalized by various things and reasons. But the emotional commonality of music really strikes me. And so we have a real wide array of music. We do all the releases at the same time because we want the music to be considered in total,” he said of Little Village’s release slate, which has grown to encompass eight albums in 2018, doubling their initial output. Pugh worked as a musician for upwards of thirty years, recording and touring with artists like Etta James and Robert Cray, eventually asking himself a question many artists wind up struggling with. Little Village Foundation digs deep throughout America and abroad in the hopes of finding unique artists and sounds that deserve to be heard. In getting those artists into a recording studio, Little Village almost acts more as an incubator, and a direct conduit to music fans, than they do a traditional label focused on its bottom line. Recording sessions can be brisk, cut live in studio in an effort to reduce production costs. The goal is to help maximize the overall experience for the artist, from discovery through release, creating a symbiotic relationship that’s sustainable. As CD players have disappeared from automobiles, the music industry continues a shift toward online streaming and more and more physical sales take the form of vinyl, Little Village has had success with compact discs, financing all of it through donations and events like living room concerts. ”A big part of the record business, traditionally, has been the brick and mortar stores. [But] the number one purchase point for CDs [now] is at the [live concert] gigs. The venues. So that really isn’t a concern anymore,” observed Pugh of the challenge in getting product in front of fans that Little Village Foundation has been able to overcome. In searching for the sounds that rarely grace hit records, Little Village Foundation has managed to make a difference in a number of communities that supersedes music to contribute on a human level. Snuviko was one of the albums released in that initial 2015 offering. Los Tres Amigos are a group of three Santa Maria, California-based musicians who specialize in Mixtec music, the traditional sounds of Oaxaca, Mexico. More recently, Pugh worked with Parkland, Florida students who survived the February school shooting at Marjory Stoneman Douglas High School. He traveled across the country to record students telling their stories musically and in spoken-word form in places like Atlanta, New York, Saint Paul, Salt Lake City, Big Sur and Florida. 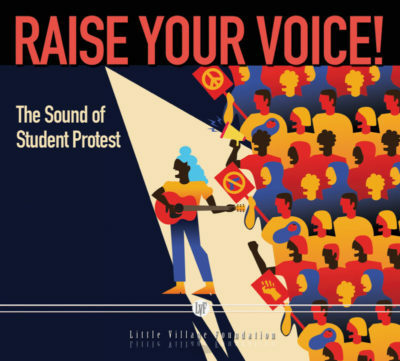 Released on October 5th, just in time for yesterday’s midterm elections, selections from Raise Your Voicewere also performed by students in front of the festival masses at the Hardly Strictly Bluegrass Festival in San Francisco. 100% of the proceeds from the album benefit gun control advocates Everytown. In the 60s, socially conscious music drove the culture, provoking thoughtful conversation in an effort to beget change. Today, during turbulent, divisive times in America, Pugh hopes to accomplish more.